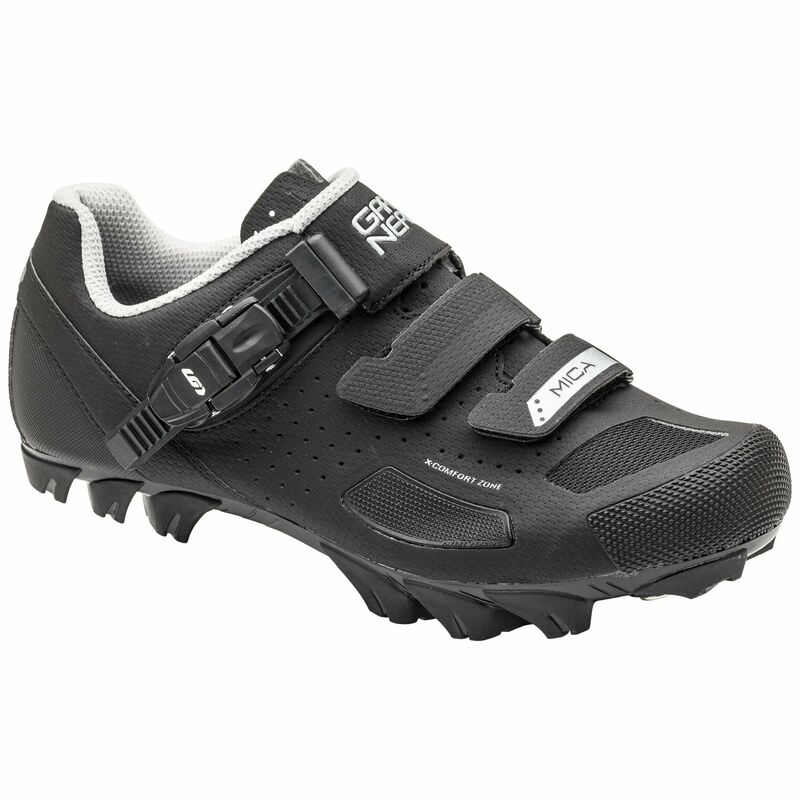 Our all-new women's Mica II mountain biking shoes take all the features of last year's Mica, with the addition of the award-winning X-Comfort Zone technology. Our all-new women's Mica II mountain biking shoes take all the features of last year's Mica, with the addition of the award-winning X-Comfort Zone technology. The X-Comfort Zone allows the foot to swell up to 5 mm while riding, thus eliminating hot spots and discomfort. It also accommodates wider feet and eliminates bunions over time. The women's Mica II come with two hook-and-loop straps and a third ratcheting strap, all three paired with our Power Zone technology to ensure an amazing fit that keeps the foot firmly in place. The Ergo Grip 2 fiberglass/nylon outsole provides the optimal balance of power transfer on the bike and walkability off the bike. The front toe box also comes with reinforced paneling for increased abrasion resistance. Grab a pair today and ride with confidence!